Grand National Betting Offers April 2019 | Pick your pony now! Grand National betting is one of the great opportunities to wager on one of the most popular jump races in all of Britain. The Grand National race has been running since 1839, making it one of the oldest horse races of all time. This National Hunt horse race is run every year in Liverpool, England, at Aintree Racecourse. With online betting now available, you will find some amazing Grand National betting offers that can offer more chances to place winning wagers. Get ready to start planning your bets and making Grand National picks for 2019 with the information provided below. When choosing where to engage in Grand National betting, you will have a number of great choices in the US. These sites offer safe and legal betting options and also provide you with some exceptional bonus deals when you sign up. Above, you can learn of some of the top choices for placing bets on this year’s race and you will even find some of these sites to offer Grand National free bets. All of these betting sites will provide you with multiple bet types that can be placed and will offer excellent odds. Our preferred site is BetAmerica, which is known for offering secure wagering and will present you with an amazing 100% match that can instantly add $100 to your new account. You will also find this site to offer some Grand National free bets as the race draws near. When redeeming the BetAmerica bonus offer, you will receive the bonus in increments of 10% of the value of any racing bet that is placed. The exciting race will take place this year on April 6, so get ready to select your Grad National picks now. This annual race attracts the attention of millions of viewers as well as bettors, and with the mentioned Grand National free bets and bonus offers, you can be one of them who benefits from amazing payouts as the race takes place. The course located at Aintree is a two-lap course that consists of 16 fences. The first 14 of these will be jumped two times. This racecourse is known for having the longest run-ins from the last fence of any steeplechase race in the entire world, offering a distance of 494 yards. This is a race that will test the strength and endurance of both horse and jockey, so be sure to take that into consideration when making any betting decisions. This is the opening day of the Grand National and offers the popular Grand National Meeting that introduces the racing festival. Known as the calm before the storm, this day allows you to prepare for the exciting races ahead. There are a few top-class races that will take place on this day and these include the Aintree Manifesto Novices Chase, the Anniversary 4YO Juvenile Hurdle, Betfred Bowl, Aintree Hurdle, Foxhunters Chase, Red Rum Handicap Chase, and the Aintree Mares Flat Race. The second day at the Grand National race is known as Ladies Day and it is a fashion event involving women competitors from around the globe. With over $8,000 in shopping vouchers to be won, this event has become quite popular with the ladies. In addition to the famous fashion show, you can also enjoy racing action with the Topham Chase, Sefton Novices Hurdle, and Melling Chase, all classic races that you can wager on and win. These exciting races are another way for you to enjoy the thrills of Grand National betting. People look forward to Grand National race day all year long and it comes with some amazing betting opportunities. With rewarding Grand National betting offers from leading sportsbooks, you can get some free funds to place wagers. Winning the Grand National is a jockey’s dream and with so many chances for Grand National betting, you can be part of the excitement. If you want to get an idea of how some of the horses and jockeys are performing, be sure to check out some of the races that are taking place prior to the Grand National. There is The Becher Handicap Chase as well as the King George VI Stakes. By watching these events, you will have better chances of making the right Grand National picks when you place your wagers for this year’s big race. When you snag the great Grand National betting offers, you have more opportunities to place wagers. This race supports all of the traditional forms of betting like Win, Trifecta, and common bets. However, there are three types of bets that remain quite popular. With this bet, you will place your wager on a horse that you believe will finish anywhere in the top places. This is one of the most popular bets placed. With this betting option, you will be choosing a number of horses. The returns that can be won are often quite large, which is why this type of bet has become a favored choice for the Grand National. This is a newer market of betting and will allow you to back a horse to win as if the preferred favorite is not even involved in the race. With this type of bet, you will have the chance to bet on various horses with much better odds. When it comes to Grand National betting, the Each Way bet is one of the most popular options. This type of bet accounts for more than 70% of all Grand National bets placed. With a huge field of horses taking part in the race, individual odds for horses can be quite high in comparison to other races. With the Each Way bet, you will find you can win some great payouts. Now, it’s a bit more complicated than the standard win bet, but it’s easy to understand. When you place an Each Way bet, you’re betting that a particular horse will finish in the first position and that the horse will finish in 2nd, 3rd, or 4th. It is actually two bets in one, so a $10 Each Way bet on the Grand National race will cost $20. With this bet, you win if your Grand National pick places in any of the top four positions. While it won’t generate huge payouts, it’s a safer bet than many others. This makes it a perfect Grand National betting option if you are new to wagering on horse racing. Likely, you will already be familiar with the straight forward bet types that are supported in a horse race. However, with the Grand National race, there are some special bets that can be placed that make betting even more exciting. Since this is a unique race, many online sportsbooks will offer some specialty bets that you would not normally find being offered with other races. These specialty bets are a bit harder to win, but they also come with some great payouts. 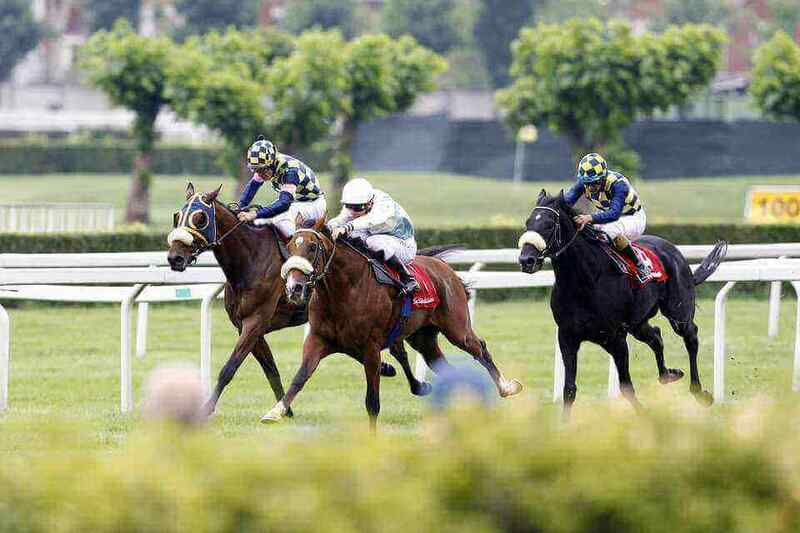 These types of bets also carry some competitive odds, but they surely enhance the betting experience and have become quite popular with the thousands of fans of the Grand National event. The Grand National race is not one to bet on if you don’t have previous experience with this type of race. There are some important criteria that you should consider when you are making your Grand National picks. First, always consider the age of the horse. In past years, most of the winners have been between the ages of 8 and 11. Likewise, consider the weight of the horse, as this will play a huge role in the horse’s endurance. Horses that have not been a previous winner are sometimes a good choice. There has been no horse in history to win the Grand Nationals since 1974. Finally, avoid betting on any novice since none have won the event since 1958. While these tips will not guarantee a winning selection, they will assist you in making the best possible choices for the Grand National in 2019. Get ready to enjoy one of the most thrilling horse races of all times and take advantage of some of the amazing Grand National betting offers that are on hand at top-rated sportsbooks.